A lot of my beauty obsessions stem from Tashina and this is definitely another one i'm going to blame on her. 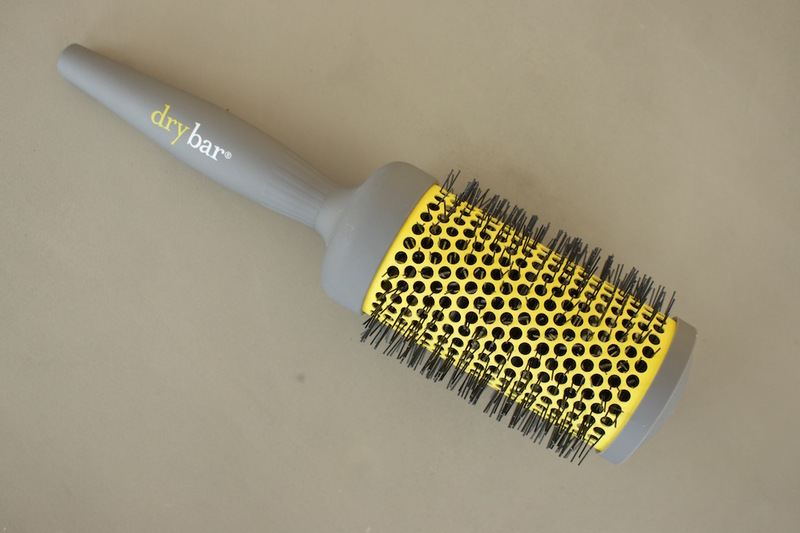 The Drybar is a chain of blow-out bars found around the US who also sell their hot tools, products and other goodies at Sephora. You might recognize their distinct yellow tools! 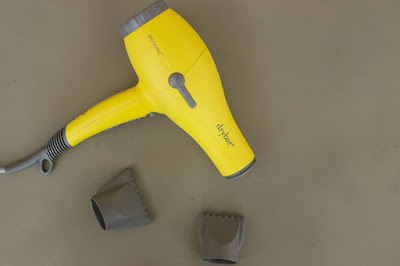 I love this blow dryer because its light-weight, quiet and has heat settings that don't boil your head. My previous blow dryer was definitely heavier and i could never use the hottest setting because it was scaldingly hot; whereas the Buttercup Blow Dryer has a range of settings you can actually use. It has 3 temperature settings and 2 speed settings along with a button for a cold blast to finish off your 'do. It comes with 2 nozzles, the wider one i use for the bulk of my hair and the narrower one for my bangs so i can be more precise. Since this blow dryer was designed for professional use it also comes with replacement air filters that are easy to change and a 9' long cord! I love everything about this blow dryer and am always impressed with how fast it can dry my hair without feeling like a hurricane force wind and my arm never gets tired during a blow out because its so light! Prior to owning this curling iron, i had irons in every shape and size but now i only use this one and can get a variety of finishes with it. 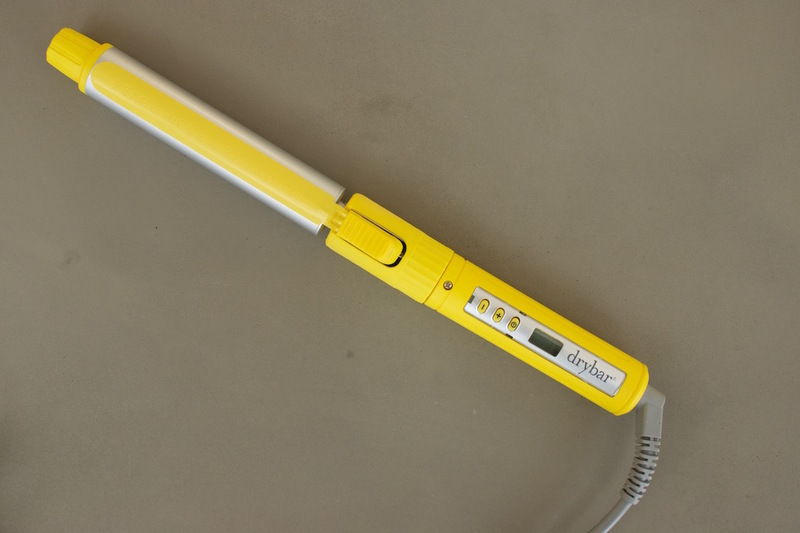 To look at, it appears to be a fairly typical curling iron but it definitely has its little perks. The clamp doesn't leave kinks in your hair or get hair caught in it and the clamp itself is what rotates so you don't have to twist the entire iron, you just rotate it with your thumb. Having a hard time visualizing it after my poor explanation? They do a much better job of explaining in the video here. I also love using it to wrap my hair around for a more beachy look (see my video on it here) and because of the thin clamp, you don't get any kinks when using this method. This is the product of theirs i've had the longest and i love how consistently nice my blow-outs turn out when i use this. Theres nothing to catch my pathetic, fine hair on and the size is perfect for my hair length. Its perfect to add volume and lift at the root as well as smoothing out the ends of my hair for a soft, straight look. 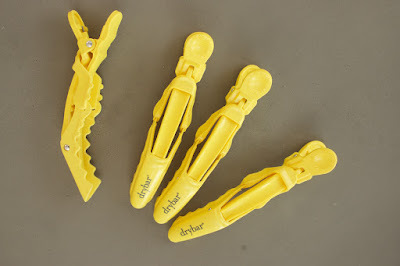 I'd seen this style of clip before and my hairdresser pal had said they're awesome because they can hold a little or a LOT of hair because of the fancy design. 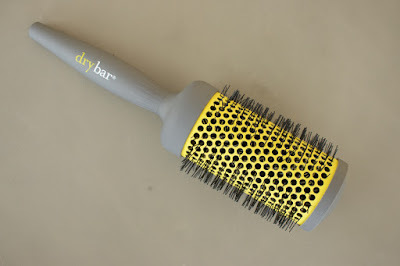 So after collecting a couple of yellow Drybar goodies, i figured why not give these a try too. 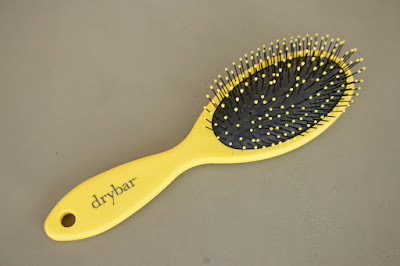 I use these to section off hair to blow dry or style it as well as just clipping it all up out of the way when i need to think.... does anyone else have to put their hair up when they need to get focused? What makes one hairbrush better than another? I'm not entirely sure, but this hairbrush is pretty damn awesome. I've even used this on wet hair when i want to brush product through whereas previously i always tried to avoid brushing my hair wet. Its suitable for extensions or other hairpieces and really just makes easy work of it. As someone with fine hair, any hairbrush that can brush out snarls without causing breakage is pretty much a winner in my eyes! Since none of these are cheap by any means, i always think reviews on them are even more important so if you have any of these, please do leave your thoughts on them below so everyone can get a good idea of how they work on different hair types. Alternatively you can find other reviews for different hair types on each product link on Sephora. Thats usually how i decide if i want to purchase or not.